Vasco da Gama have scored 31% of their goals after the 75th minute in Serie A (Brazil). Santos have lost their last 4 matches in Serie A (Brazil). Atletico PR have won their last 11 home matches in Serie A (Brazil). Corinthians have failed to win in their last 9 away matches in Serie A (Brazil). 71% of Grêmio’s matches had under 2.5 goals in Serie A (Brazil). 66% of Santos’s matches had under 2.5 goals in Serie A (Brazil). Santos have scored 32% of their goals after the 75th minute in Serie A (Brazil). Botafogo have won their last 4 matches in Serie A (Brazil). Atletico PR have scored 84% of their goals at home in Serie A (Brazil). Palmeiras have been undefeated in their last 20 matches in Serie A (Brazil). Atletico PR have been undefeated in their last 12 home matches in Serie A (Brazil). America MG have scored 72% of their goals at home in Serie A (Brazil). Atletico PR have scored in each of their last 12 home matches in Serie A (Brazil). 72% of Botafogo’s points have been earned at home in Serie A (Brazil). 77% of Cruzeiro’s matches had under 2.5 goals in Serie A (Brazil). Vitoria have failed to win in their last 6 matches in Serie A (Brazil). 69% of Vitoria’s points have been earned at home in Serie A (Brazil). Flamengo have scored in each of their last 8 matches in Serie A (Brazil). Grêmio did not concede any goal in 53% of their away matches in Serie A (Brazil). Palmeiras have scored in each of their last 14 matches in Serie A (Brazil). 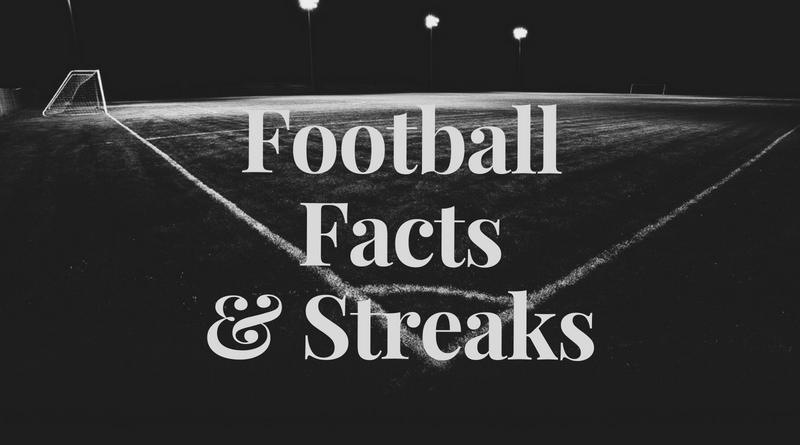 66% of Botafogo’s matches had under 2.5 goals in Serie A (Brazil). 80% of Atletico PR’s points have been earned at home in Serie A (Brazil). Palmeiras have scored the opening goal in 71% of their matches in Serie A (Brazil). America MG have failed to score in their last 4 away matches in Serie A (Brazil). Vasco da Gama conceded at least 1 goal in 82% of their home matches in Serie A (Brazil). Palmeiras have been undefeated in their last 13 home matches in Serie A (Brazil). 69% of Corinthians’s matches had under 2.5 goals in Serie A (Brazil). Palmeiras have scored in each of their last 15 home matches in Serie A (Brazil). Atletico PR have scored 2 goals or more in each of their last 7 home matches in Serie A (Brazil). 79% of Corinthians’s points have been earned at home in Serie A (Brazil). Palmeiras have scored 2 goals or more in each of their last 5 home matches in Serie A (Brazil). 76% of America MG’s points have been earned at home in Serie A (Brazil). America MG have scored 62% of their goals in the first half in Serie A (Brazil). Palmeiras have won their last 11 home matches in Serie A (Brazil). America MG have lost 71% of their away matches in Serie A (Brazil). AFC Eskilstuna ended draw their last 3 games in Allsvenskan. Brommapojkarna scored in last 5 away games in Allsvenskan. AFC Eskilstuna scored in last 5 home games in Allsvenskan. Brommapojkarna allowed opponents to score over 1.5 goals in last 3 games in Allsvenskan.